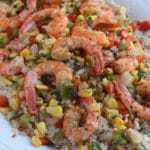 This Cajun Shrimp recipe is loaded with veggies and Cajun spices and served over rice. It’s a simple dinner that you can have on the table in 30 minutes from start to finish. My husband is obsessed with all things made with cajun seasoning. Some of his favorites include this Cajun Chicken Pasta and Easy Red Beans and Rice. He loves it so much that if I’m out with the girls or out of town I can guarantee that he’ll have dinner at a local place that specializes in Cajun cuisine. So now that I’ve told you about my husband’s love for Cajun food. I know you’ll want to know how did he like this recipe? He LOVED it. In fact he had two helpings and asked me to make it again twice. If that’s not a seal of approval I don’t know what is. 2. Then in a skillet heat a tablespoon of olive oil and then add the diced onions and bell peppers. Cook for about five minutes or until vegetables are tender. 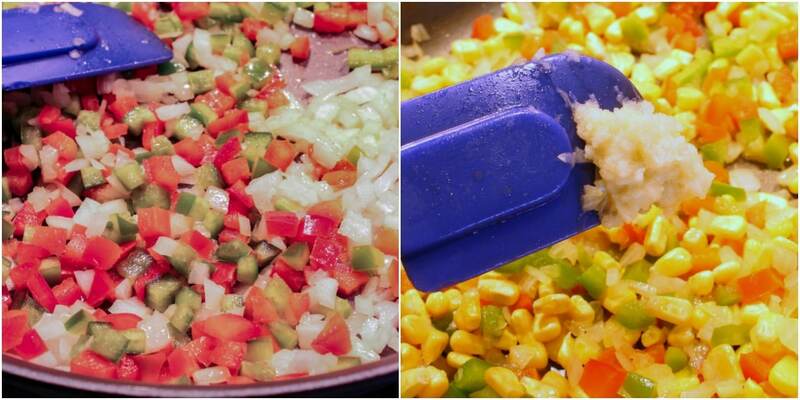 Add garlic and corn to skillet and cook for one minute more. 4. 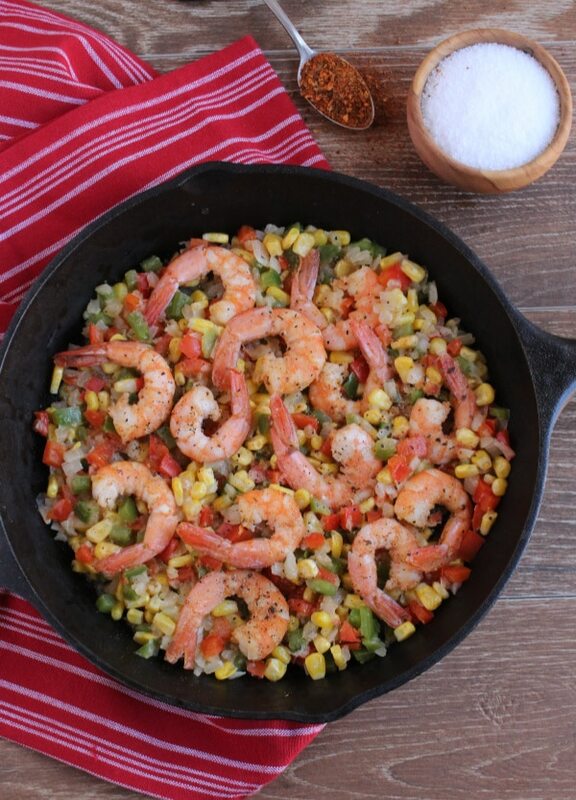 Add a half-tablespoon of olive oil to the skillet and then place shrimp in single layer in the skillet season with half the cajun season, salt and pepper. Cook for about two minutes per side or until the shrimp pink and firm. 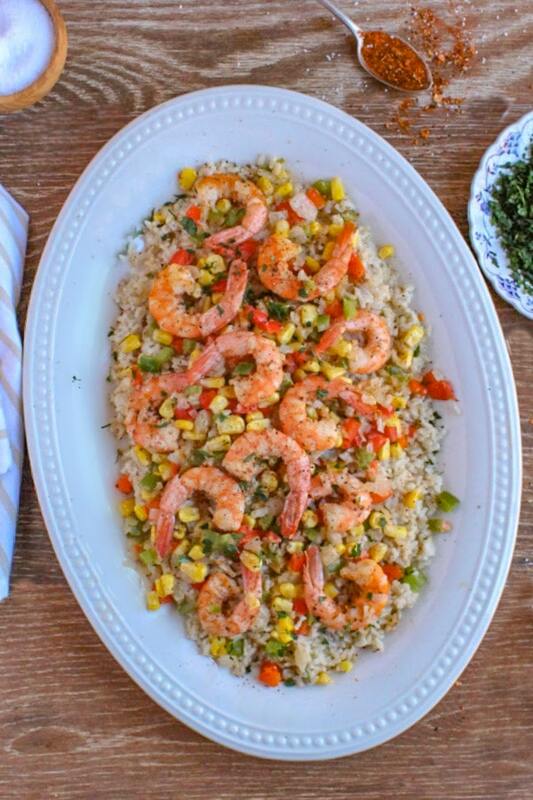 This recipe calls for a pound and a half of shrimp. I used peeled and deveined with the tail on but I think in the future when I make this I’ll get shrimp with the tail off. Just for the simplicity of eating and enjoying without having to deal with cutting off or removing the tails. When cooking the shrimp don’t overcrowd the pan. Lay the shrimp out in a single layer and cook it in batches if necessary. 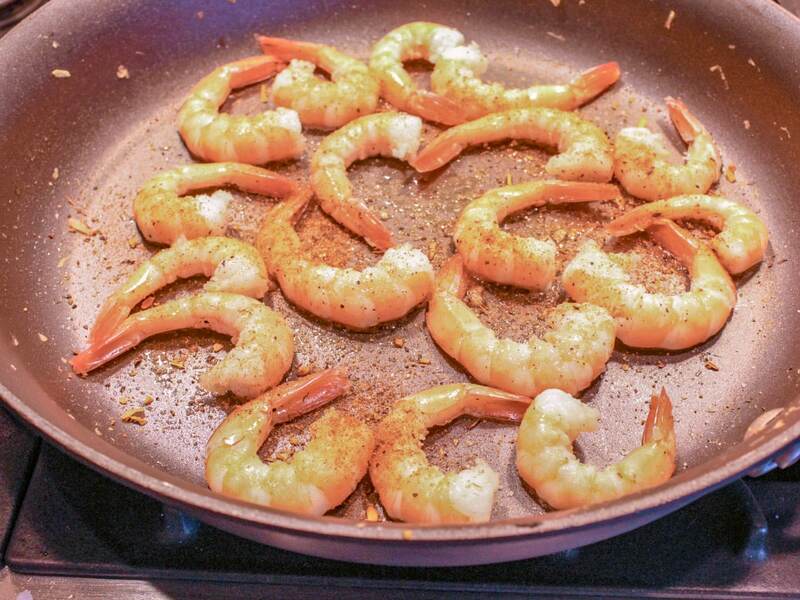 Putting too much shrimp in the skillet at one time can lead to steaming or overcooking the shrimp. This can give it a rubbery, chewy texture. No one want’s that right? 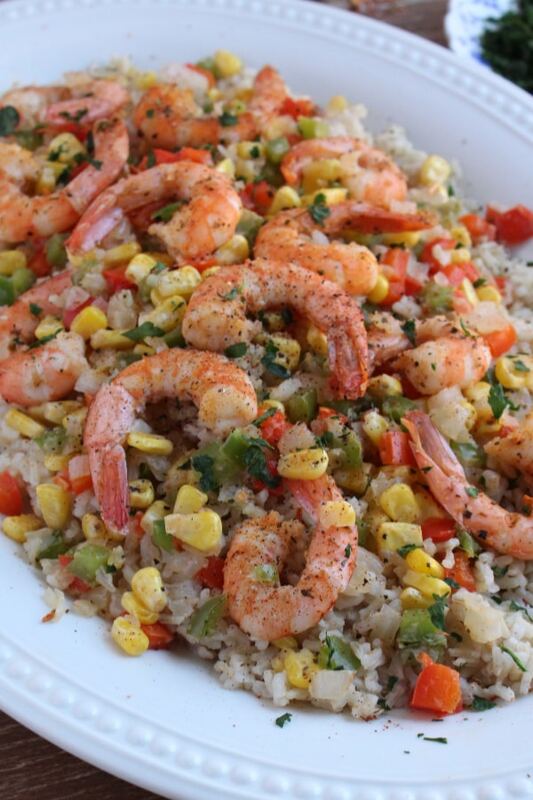 I served this over brown rice but I would be just as good over white rice, quinoa, farro, or even pasta. No, matter how you choose to serve this dish one thing is for sure it’s going to be amazing!